You can leave your passport right where it is! The Stein Am Rhein webcam lets you “visit” this beautiful hamlet without having to leave the house! This historic town has much to offer, especially those that appreciate medieval architecture. Some of the structures date back to the 12th century with reminants of structures dating back as far as the 3rd century. 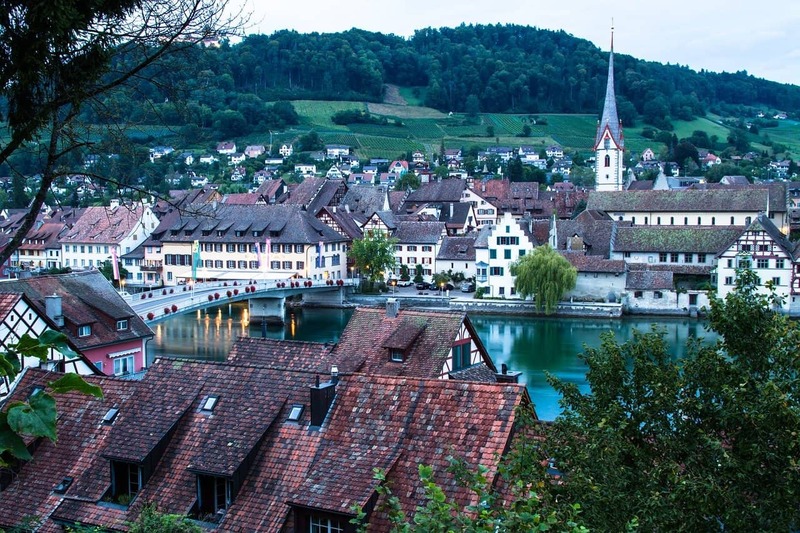 This charming town lies on the River Rhine in the Canton of Schaffhausen. It is situated in the countryside where the Lake Constance flows into the River Rhine. The town is rife with culture and beauty. This town has a lot to offer and truly appears to be a fairytale town that you only read about in books. There are museums, festivals and other events that make this charming town fun to explore. 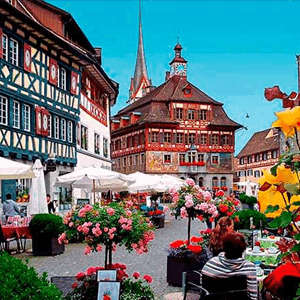 Main Attractions: Old Town, Convent of St. George, specialty shops and gift stores, restaurants, cafes, Rathausplatz town square, Klostermuseum St Georgen and more.